Canon just this week, announced the new EOS R full frame mirrorless camera system. I spent the week in Phoenix at Sue Bryce’s Portrait Masters Conference where we were part of the big roll out. I was able to play with the new mirrorless for a couple of days and thought I’d share some images and thoughts about the camera. To be honest, I’ve tried out mirrorless cameras before but have never bought one. For years now I’ve been using the 5D and 1D series of cameras. I like the feel of a large heavy camera. However, the EOS R camera was surprisingly comfortable in my hands. The grip is bigger than the Nikon and Sony grips and it really makes a big difference. With Nikon releasing their first full frame mirrorless camera just a couple of weeks ago and now this weeks release of the Canon R, there’s been a lot of comparisons in the specs between Sony, Nikon and Canon. 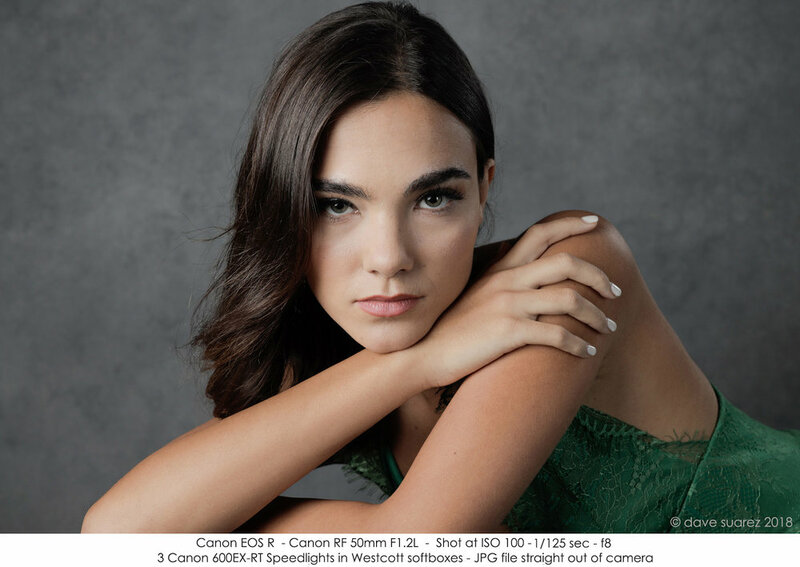 Yes there are many great specs and new features on the Canon R that beat the competition but I haven’t seen much about the “look” and color of the files on the new EOS R. That’s what really sold me once I got home and opened up the files on my computer. They are gorgeous. It’s just something you can’t grasp from numbers. On top of that, I’ve been only able to look at the jpg files since the RAW software has not been released yet. I assume that will come with the release of the camera in October. If the jpg’s are any indication, the RAW files are going to be awesome! All four of the lenses produced beautiful images. Just crazy sharp and super fast to focus. I also really loved the addition of eye focus on top of the face detection focus we’ve had for awhile. It was particularly comforting to use it with the new 50mm 1.2. Here are some of my images from this week. Unfortunately I can’t share them at full size here but hopefully you can get an idea of the quality of the files.